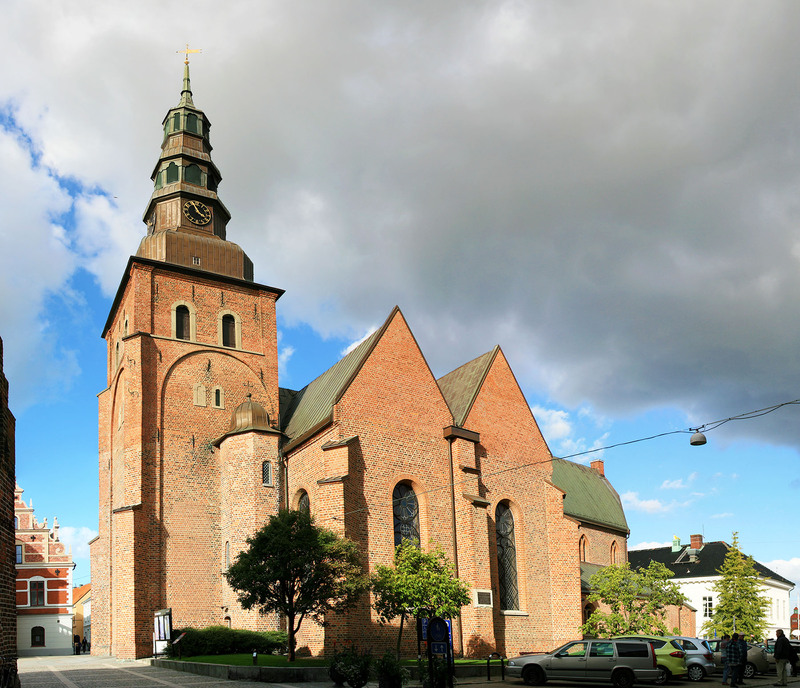 The first church on this site was a Romanesque basilica building erected during the 1200’s. It was expanded in Gothic style circa 1275. The remains of that expansion are the oldest surviving parts of the church comprising of a single fresco-decorated vault. During the 1300’s and 1400’s, the church was successively rebuilt until it acquired the appearance it more or less shows today. It was damaged in a storm during 1648 and received a new transept shortly after. A new Baroque tower was also erected. Minor interior alterations were carried out during the 1700’s and in the 1830’s it was partly reconstructed based on designs by Carl Georg Brunius. In 1886, another rather insensitive renovation scheme was carried out. A historically more accurate renovation was again done in 1923-24.